We go above and beyond for our clients. We thank them all for our success! “Marnie has been a godsend for me. I was a stuck wanna-be business owner. My business was an idea several years in the making, but it had no name and no direction in the marketplace. While I had a vision, I had no idea what to do with it or how to start. I found Marnie and In Sync Social Media online and called. I told her about myself, about my vision and my message. Once I stopped talking, she had a name for my business. I was speechless! Anxious to meet her, and more importantly, for her to meet me, I drove from San Diego to Los Angeles. I was not disappointed; the connection was instant! I was surprised to find she was prepared and had done her homework. We had a great meeting and I smiled all the way back to San Diego even through LA’S rush hour traffic. “Marnie came highly recommended to me and I am so lucky to have meet her. From the moment I met, she was ready to roll up her sleeves and do whatever it took to make whatever my business needed happen. For example, in one case, I was ready to self release a book I had authored, but didn’t know where to start. Marnie took it on. The next thing I knew she had designed the cover, got it on to Amazon, got a press release out and gave me deliverables for promotions and ads, etc. Had it not been for Marnie, I would not have been able to get the book out within the short window I had given myself. “Marnie Tenden is a rare and sparkling gem in a world now flooded with web designers, social media experts, copywriters, publicists, and the like. After looking over my two relatively dated websites (one for literary work, the other for artwork) and talking with me about what I wanted to accomplish with a new website, she came up with several brilliant design alternatives. What struck me was how cleverly (and quickly) she had managed to mesh my particular needs with the myriad technical tools available to her. She has showcased my work in an eye-catching way no other web designer/social media specialist has done in the past. Marnie’s talents go beyond mastering the complexities of cyberspace; she is a wellspring of artistic vision and intuition, not to mention an inspired writer and editor. Several times, she suggested more provocative ways to show and describe my work than had occurred to me. She went so far as to suggest an entire section devoted to the history of the encaustic art medium I work with; the history section she proposed adds depth to my website. And when I was unable to come up with appropriate titles for an art series, Marnie surprised me with the perfect title. I have dealt with web designers who often seemed to speak a language I did not. They communicated with me in such a technical way, I found myself asking for more straightforward words (not always forthcoming). Not so with Marnie. Everything she said or wrote to me was clear, concise, well-organized, and in “human” terminology that I appreciated. Never before has anyone explained to me so succinctly how to edit my site independently. She has given me a well-written, instructive document that allows me to edit without frustration and confusion. At the same time, she is available to help if needed in the future, and/or to make any edits for me: a comforting thought. Marnie is a delightful person, a pleasure to deal with, smart as anyone in the same business—if not smarter—and a true master of everything she does. In Sync Social Media is a well-deserved name for her company, for she is in sync with everything going on in the social media world. She doesn’t miss a beat when it comes to cutting edge advances, uses them to her clients’ advantage, and most important, brings an extraordinary wealth of innate knowledge and profound insight to her work. “My name is Olesya and I am the founder of Music Teacher LA . I would like to share with you my incredible experience with Marnie from In Sync Social Media. My former website was not only dated, but did not represent the high quality and professionalism of music instructors we have. I was searching for the top web designer in Los Angeles, who would also be affordable. I asked my friends, business partners and the trusted network of LA Parents Swap group on Facebook. One parent from LA Parents Swap group replied with the highest praise for Marnie from In Sync Social Media. I spoke with Marnie and a number of other web designers in LA. I then asked each of the designers to email me their suggestions and visions for my new website. When I reviewed the replies, Marnie stood out from the rest. She not only knew exactly what was needed to be done, but also envisioned how to implement my idea and went even further! In the midst of the designing process, she came up with more and more fresh ideas, which were beneficial for my business. She created our logo, tag line and positioned my business as the source of the best music teachers in Los Angeles. I’m happy that my new website can show that our teachers are not only established and professional musicians, but also highly sought after quality music teachers. We start children right from the beginning. Students do not leave our instructors to re-learn and correct the techniques with teachers from different companies. We provide both quality and affordability. 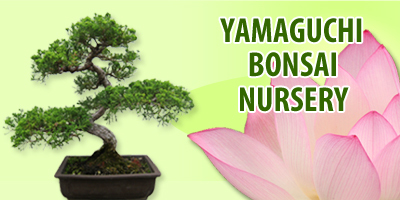 Marnie was able to establish it on our website as well. 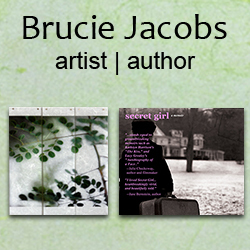 “I just published a book and needed a website and all the exposure InSync Media could give it. Marnie Tenden offers so many brilliant talents! From writing, designing, art directing, creating websites, marketing and pr. She is literally in sync with her client’s needs. She has this intuitive ability for creating exposure on and off the web. 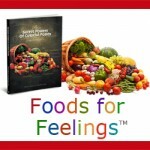 Marnie created my successful website (foodsforfeelings.com). When I first searched for it, I was delighted to see Marnie had it placed at the top of the page. 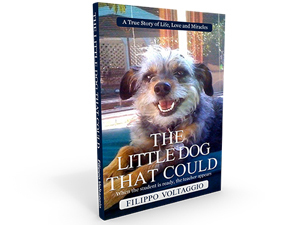 She helped plan a strategy and positioning in the competitive book sellers marketplace using strategic key words to get noticed and created ways for publicity of my book to go viral. She was creative director for a YouTube video too! Without Marnie’s insight, expertise and business savvy, my book would not have the exposure needed to make it fly off the shelves. In working with Marnie, I discovered she is also the perfect business coach. She is supportive and gave me valuable guidance throughout the social media/pr process. I couldn’t believe all the tools she had right at her fingertips. Her ideas are endless. The combination of talents InSync Media offers make it an incredible value. 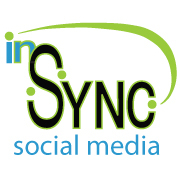 If everyone used InSync media, boy, they surely would succeed! 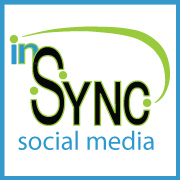 “In Sync rescued me from the stress of creating a presence on the internet and all relevant social network sites by myself! Not only do I now have a beautiful, image-rich web site and blog showcasing my work, but I also have a Facebook Business Page, mobile web site, and a host of location based sites like Google Places, Yelp, Yahoo, and Bing doing the same. And, thanks to Marnie’s expertise in the world of online marketing, everything is connected to everything else (She calls it in sync! ), consistently branded and positioned, and quickly building followers and prospects for my interior design business. “The e-commerce website for my business was originally created in the late 90’s – prehistoric let’s say. It had become an embarrassment, and I knew I had to do something, but I was too busy running my business to take the first step. That was, until I met Marnie and became aware of her web wizardry! She introduced me to the latest e-commerce technologies, and convinced me that my first step was to hire In Sync to bring my site into the 21st century. The minute I did I felt a huge weight lifted off my shoulders. I couldn’t be happier with the results. Not only does the new site work great with all its bells and whistles, but I am getting COMPLIMENTS on how beautiful it is! She has recently worked her wizardry on my business and product presence on Amazon.com (Which she said was prehistoric in its editing functionality! ), and now we’re talking about adding e-commerce to my Facebook Business Page. Now that the orders are rolling in, I think I’ll spend more time in Puerto Vallarta! 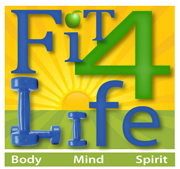 Lucinda Martin – Owner, BodySense, Inc.
“I am very pleased with the work Marnie and In Sync have been doing to increase our business over the last couple of years. It all started with her creating our website (we didn’t have one), including its design, copy, and ALL the photography! She then carried the look and brand over to our Facebook Page and Yelp, created new business pages on Google+ and other local search sites, and designed our very own mobile application. She keeps our website and Facebook page fresh with new postings, and gives me a monthly report on exactly how everything is performing. We’re getting lots of new inquiries and new customers who are finding us online. From our initial conversation regarding my goals and objectives, Marnie developed a plan and literally built my new business from the ground up. I’m talking, business name, logo, vanity URL, business card, service packages, brochure, website with a lead-capture survey and service package purchase options, Facebook, Google+ and Yelp business pages, press releases, slide presentations…I could go on and on. It was all so easy and breezy! We talked, brainstormed and laughed together every week through the process. In truth, she became, and is still, MY COACH! “When my partner and I were in the process of starting our intensive therapy practice, we talked to Marnie about the look and feel that we wanted to convey to our future clients. She listened intently, went off to wherever she comes up with her wonderful ideas, and came back with a logo design that did everything we wanted and more. She then wrote the copy that explained our processes and methods, and what someone could expect to experience and gain from our 3-4 day retreats. It was great. The business card, brochure and website that she created with her beautiful graphics and flowing copy are masterpieces in our minds and those of everyone who sees them. And, regarding our business, we are now booked months into the future. I had heard that Marnie at In Sync was great at web design and copy, so I decided to give her a try. Our first meeting lasted for 2 hours, with Marnie asking lots of questions and taking detailed notes. A few days later, she came back with copy that nailed it – both me and my practice. It was kind of amazing… She went on to design a whole new website with new graphics that I loved, and optimized for all the keywords we had agreed to. Social media wasn’t in our strategy, but she strongly recommended that I have a page on a psychology resource site called Network Therapy. She then went on to create my page with all the information that she had collected. It looks great. I am currently getting very good leads and clients from both sources. I couldn’t be more pleased. “I can not rave enough about In Sync Social Media. I have several businesses, all of which are quite diverse. Marnie was extremely easy to work with, reasonably priced, and most importantly, able to understand each business and create not only a social media presence but a stunning website that captured the essence of each business.